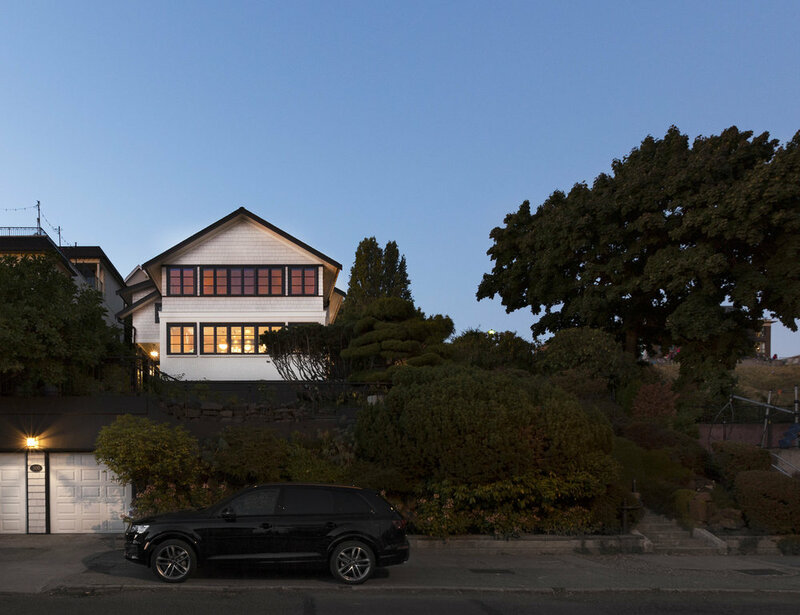 Set on the crest of a hill overlooking downtown Seattle and Elliott Bay, the homeowners wanted to bring this circa 1924 three-story house into the 21st-century, while preserving its historic charm. 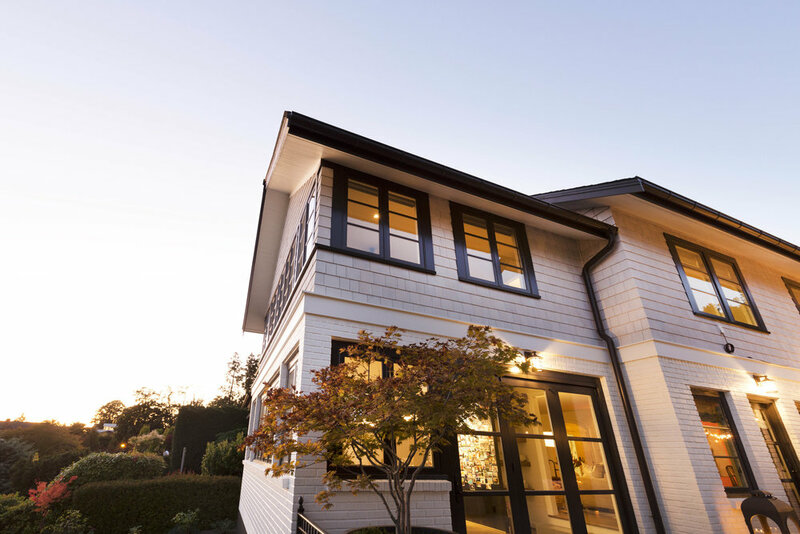 Previously remodeled in the 1980s in mock-Tudor style, the 3,800-square-foot house suffered from outdated systems, tired finishes, rot and claustrophobic spaces. 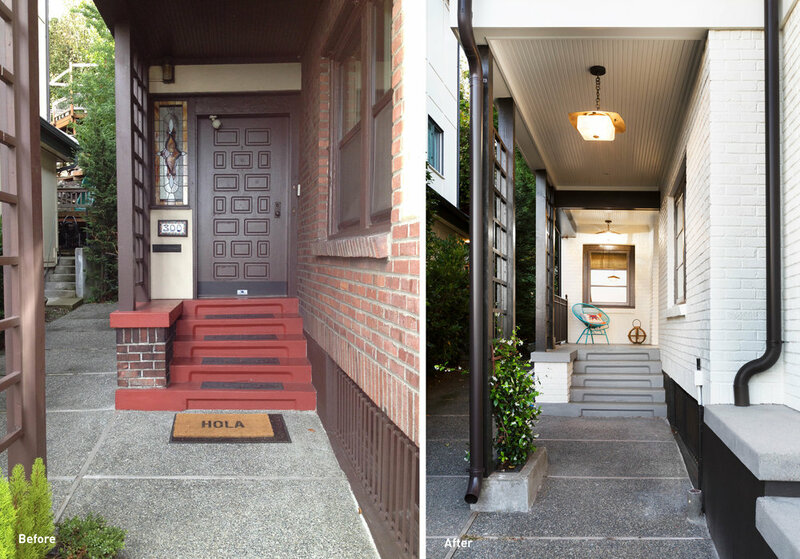 Transforming the house meant taking it back to its studs and starting fresh. 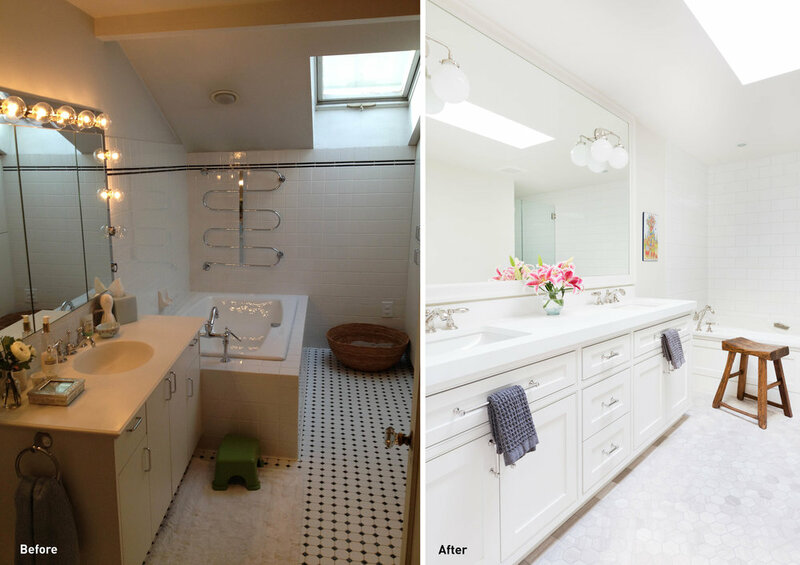 Beyond updating all interior and exterior finishes and systems, the biggest change involved flipping most used living spaces from the back of the house to the front, and the least used from the front to the back. 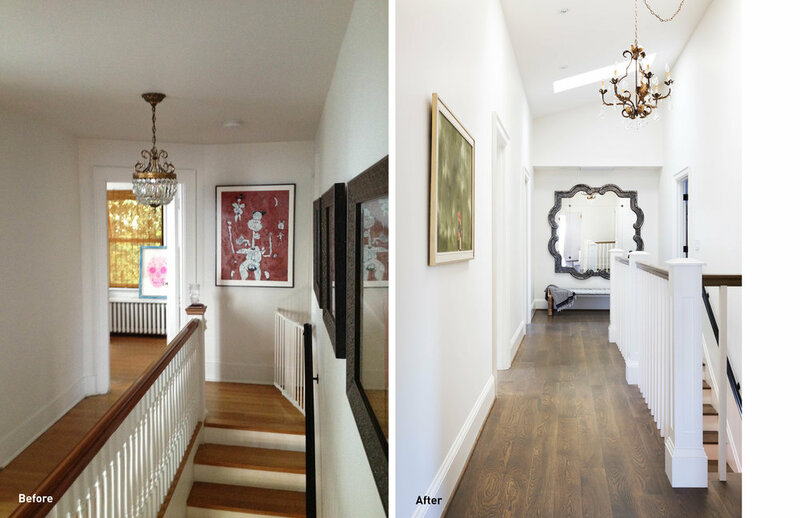 With this move--including removing and completely redoing the two-story front addition of the home -- the previously dark and isolated kitchen is now a light-filled central gathering space that flows effortlessly into adjacent spaces. The new kitchen opens onto a large terrace, which was resurfaced as part of this project. 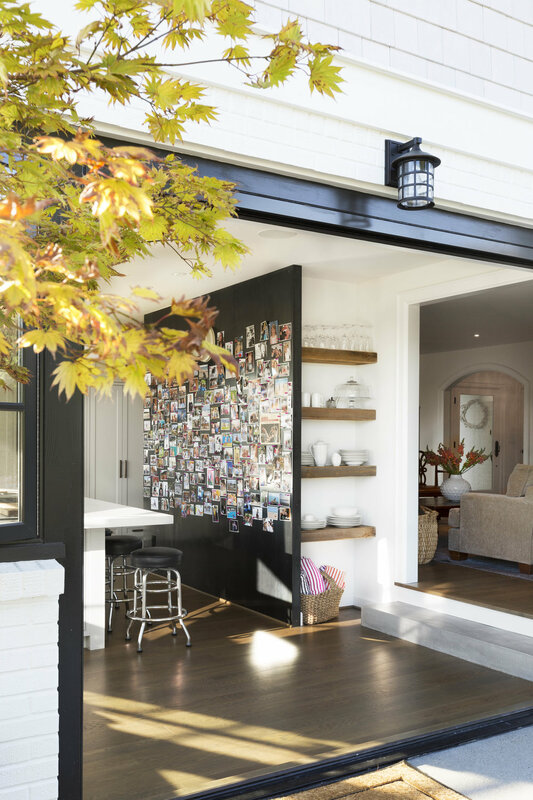 A fold away Nana door system brings the outside in and makes for easy entertaining. 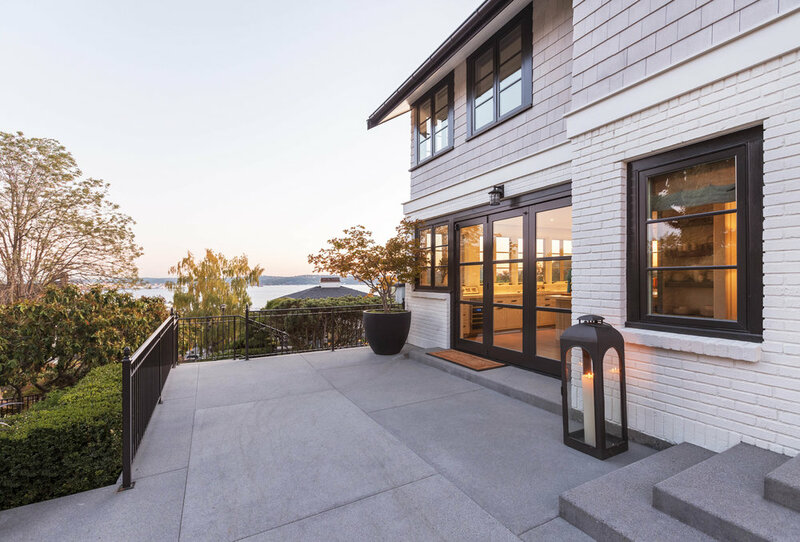 A new master suite sits on the floor above the kitchen and is wrapped with a bank of windows allowing dramatic views of Seattle and Elliott Bay from every angle. Interior furnishings consist of a combination of the client's own furniture as well as new pieces. While the majority of the house adopts a clean, off-white aesthetic, the owners' affinity for strong colors finds expression in selected areas of the house, making those areas with color pop even more.